Enjoy the light and refreshing flavor of ripe blueberries! 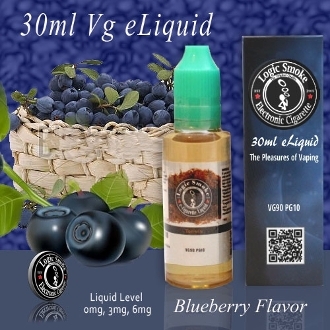 Our Logic Smoke Blueberry e-liquid is refreshing treat, with just the right amount sweetness. Is fantastic as a stand alone flavor or perfectly light to mix with many of our other tasty Logic Smoke flavors. Mix Blueberry with Waffle for a taste of blueberry pie creation. Or with cheesecake for sweet treat without all of the calories! And then there's Blackberry and Red Raspberry to mix with for an even more delightful fresh berry vape! Check out all of out Logic Smoke flavors and make a creation that is perfect for your vaping tastes,enjoy.